This gripping verse novel, written by Young People’s Poet Laureate Margarita Engle, tells the story of a Mexican-American family living in Los Angeles during the Zoot Suit Riots. Marisela and Lorena are sisters, laboring daily in a cannery before spending their evenings as “jazz owls,” or volunteer dancers at a USO club. Ray, their mischievous younger brother, struggles in school and loves to wear a zoot suit on the street. Meanwhile, sailors from the Navy are flooding through the city on their way to fight in World War II. 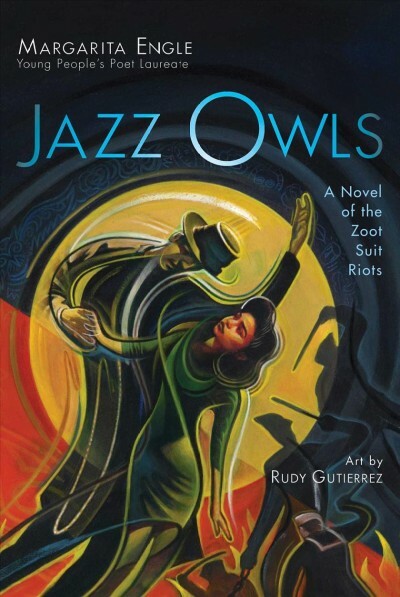 When a racially motivated stabbing raises tensions in the city, Marisela and Lorena find their former dance partners turning to violence, targeting anyone in a zoot suit—including Ray. Against a backdrop of chaos and hatred, the family struggles to rise above their tribulations. My favorite element of this novel is the alternating of narrators. The poems are narrated not only by the family members, but also by reporters, sailors, and even the spirit of a murder victim. These varied perspectives enrich the plot. Each individual poem is evocative and beautiful, even when the subject matter is dark. I would recommend this book to anyone living in the Los Angeles area because it explores a compelling time in the city’s history. I would also recommend it to anyone who enjoys poetry.